If you attended the Sons of Italy Foundation’s NELA Gala in Washington, DC on May 23 you might have heard 2012 SIF Honoree and recipient of the Award for Excellence in Business, Claudio Bozzo, put forth a strong argument for crediting the Italian people as the inventors of the Internet and not American military intelligence. The foundation of Bozzo’s argument rested on a worldwide web made up of people—not the URL addresses and the HTML codes that allow them to function. Italians invented the internet when the sons and daughters of Italy left their homeland in search of their dreams, be it better standards of living or simply just the search for adventure. And they went everywhere. 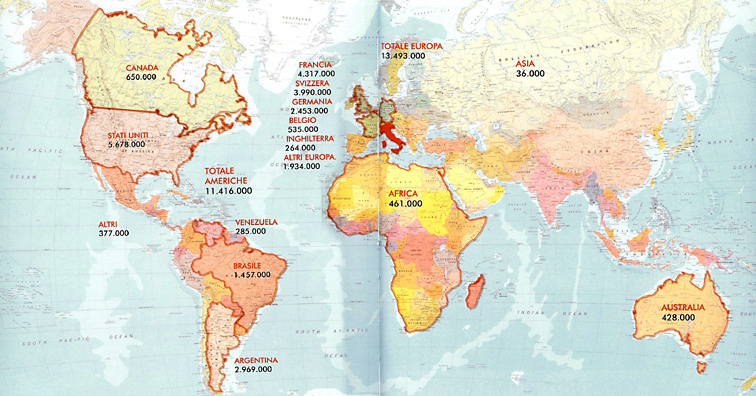 On our side of the Atlantic, people of Italian descent form significant populations in the United States (naturally), Brazil and Argentina. And we all know what it’s like when we meet another Italian or someone of Italian ancestry. Tell me your story. Where’s your family from in Italy? When did they emigrate? Why did they emigrate? Have you been back to visit your town in Italy? You should go, it’s an incredible experience! Parla l’italiano Lei? No?! Perché? Impari! (Do you speak Italian? No? Why? Learn!) If you need any assistance while you’re here, let me know! We know the stories of the Italian experience in our own country. But what was like it like for Italian immigrants elsewhere? 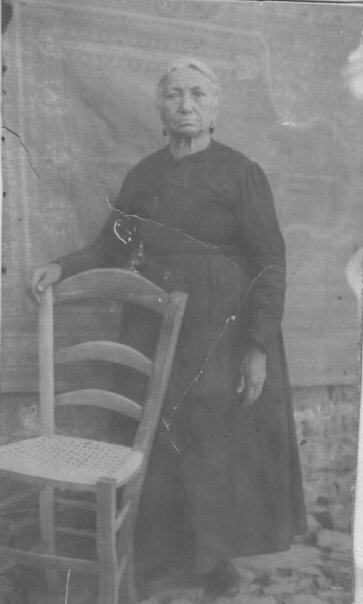 My great-great grandmother, Giuseppa Maria Lutri, who went to Argentina with her second husband. This is the only photo that exists of her. My mother’s family is spread around the globe. Her grandparents came to make a better life for themselves in the United States. Her paternal grandfather’s brother stayed in Sicily and some distant family members still live in the small town of San Fratello in the province of Messina. If the name San Fratello sounds familiar it’s because the great Al Pacino is part San Fratellano. (Hey paesano, we’re proud of you!) Finally, her maternal great-grandmother emigrated from Sicily to Argentina. I know very little about the members of my family that immigrated to Argentina. In fact, I have no idea where they ended up in that country. Questions have always burned in the back of my mind about my Argentinean relatives. What was their experience like? What similarities existed between us as people of Italian ancestry? What differences are there? In essence, what does it mean to be Italian Argentine or Italian Brazilian? Is it different than Italian American? Over the next several weeks, I will look at the experiences of Italians in Brazil and Argentina, and hopefully support Mr. Bozzo’s argument that the greatest invention of the Italians is our worldwide human web. Written by OSIA National Office Administrative Assistant, Elisa Wilkinson.